Your secretary or personal assistant is one of the most important people in your business. Their contribution to the daily operations of the business is priceless. They are the very fabric that holds the office workers and the boss together. Seeing to it that everything is in order, coordinating dates and ensuring that your office runs smoothly and appointments are kept are just a few of the important tasks that show you just how important such a person is to your office. When it comes around to Administrative Professionals Day 2019, you will have a chance to show your administrative professional just how much their services are appreciated with a beautiful arrangement. Your administrative professional goes above and beyond the call of duty to ensure that your everyday tasks are taken care of, no matter how mundane they are. They take great responsibility in their duties and their commitment to your business to get it done. Whether or not you take them to dinner, or get a great memorabilia, one of your greatest gifts would be to top this Secretary Day with a bouquet of beautiful flowers so those at home can see that the sacrifice that was made by their family member was worth it and it is being appreciated by their boss. Nothing beats a show of appreciation, and nothing beats appreciating someone with a beautiful bouquet of flowers. Not only is a bouquet appropriate, but it is also a token which shows that their year of hard work is greatly appreciated. Whether a bouquet is given or a potted plant, it will encourage your administrative professional to go one step further for your business. Whether your administrative professional is a male or a female, you can still show them how much you value their contribution. 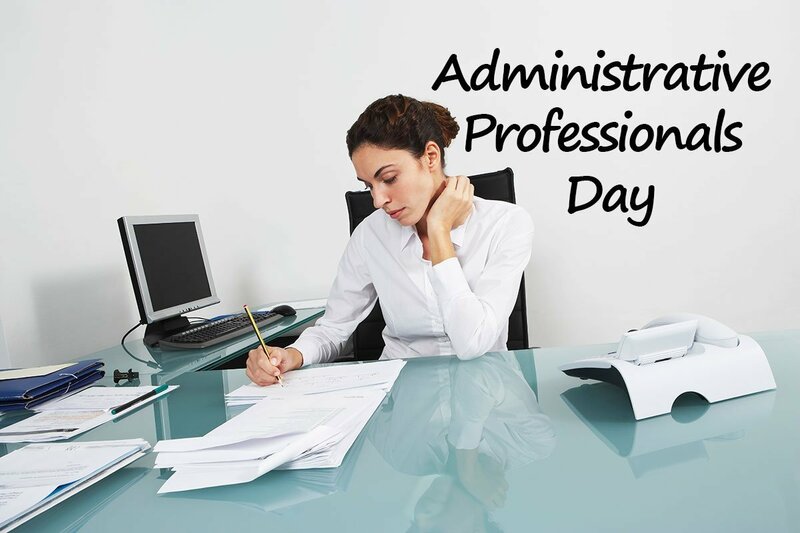 Secretary’s day was started many years ago when someone realized that there needed to be some form of recognition where the work of administrative professionals was concerned. The names are interchangeable and can be used for secretaries, or anyone who performs administrative duties in a company. These individuals are responsible adults who have placed their lives on hold to give the dedication that their work demands and many times their family lives suffer as a result. Working late to get tasks done is sometimes a requirement of the job and so too, is missing deadlines at home so they don’t miss any at work. In a bid to recognize and appreciate this dedication, Administrative Professionals day 2019 is recognized throughout the world and these individuals are shown gratitude for the roles they play in the business. Getting them candies, gifts of spa dates, lunches and dinners are popular, but flowers are by far the most popular. It is a day of celebration, one that is meant to let others see how important that role is in your business. For Secretary’s Day 2019, you can go all out and plan beforehand so that your administrative professional or secretary will have a superb day. You can get the gift you would like them to have, but also add their favorite flowers to the gift. They have worked hard, they have been faithful and dependable, so show them your appreciation as you get only one day out of the year to do so. Take this opportunity and go all out for them. Many expect a small token, a card or even lunch, but you can go beyond their expectations and create a gift that will show them that the work they have done deserves more than a token or a lunch. Show them love, appreciation, and gratitude as that will cause them to continue to do what they do best for your business. Click to view our great selection of flowers here in Toronto!